Content Marketing in next 100 Years! Home » Content Marketing in next 100 Years! Content Marketing is all about adapting to the changes of the targeted consumer base. With the increased usage of tablets, smart phones and growing technology has made the content production easier but the sole purpose of marketing seems to be getting lost. Businesses today are spending billions of dollars on content marketing making it a verifiable opportunity to drive revenue. So what is the future of Content Marketing down the line? 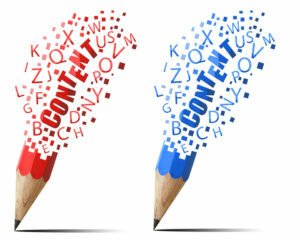 Content creation at individual level: With the content creation in terms of articles, blogs, pictures, videos etc., content marketing will become a highly customize thing in future. The content will be developed at an individual level as per the interests and desires of a real person and not a stereotypical group. Cross Branding: In future, several brands with the same customer base will come together to create a lifestyle quotation. For example, a cross over with clothing and footwear brands promoting an event or a campaign together. Brand Loyalty: With online, social media and technology becoming common place, the advertising gets lost in a noisy consumer environment. So brands will move work towards creating loyal customer base. Though the number of customers may be small but the businesses will work on building this loyalty either by customer relations, loyalty points or membership clubs etc. Quality Content: Good content marketing requires quality content which will make you stand out from your competitors. Content that is unique and groundbreaking will be in demand. Innovative and creative ways of reaching your audiences will have to be thought for. Content Consistency: Businesses will practice consistency in their content development, distribution and promotion. Marketers should understand that there is no “one size fits all” approach. Customers/Audiences will expect interesting, relevant and engaging content to be present on each brand website or network they visit. Businesses will work on building their consistent presence on the networks most relevant to them. Content will grow as a Product: A shift in the mindset of businesses where content is not just words or images on a webpage but is information your audiences is looking forward for. Your content itself is a product; brands will work towards creating the best user experience for any visitor interacting with it. Though there doesn’t seem to be a way of predicting what blogging will be like in 100 years from now. But as technology continues to advance, the new and improved tools will be implemented. Blogging is all about using your mental power to write, edit, post and share and who knows, with advancing technology, keyboards might become a thing of the past. A device may come which when put to our forehead just reads our mind and puts it on the computer screen. Years ago, we used feather and ink to write, then came the pen and paper followed by electronic media and today many are using voice recognition software to talk over keyboard. But one thing is certain, we blog to write, share our ideas. The core purpose of blogging has not changed in last 100 years and undoubtedly will remain the same in next 100 years. Today, the blogs are used as a content marketing tool, as a means of stirring up social media engagement. 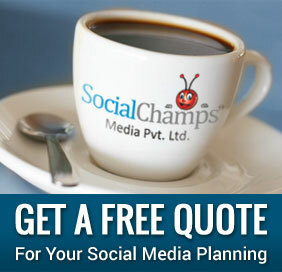 No doubt, it is being leveraged by all brands – irrespective of their size, business owners and even by a freelancer. Today, audience wants informative material and should educate them. People also like story telling. Stories do drive traffic in a big way. As far as guest blogging is concerned, in the following years we will surely see an increase in good quality, relevant and engaging guest blogging. People want to connect with what they read. It’s almost certain that in 100 years from now, the content designing and marketing will move more towards making strong connections, with tools and technology to support it. Apart from that, the core marketing strategies will remain unchanged like listening, reaching and communicating with your customers thus building relationships. With technology, reaching the customer base has become easier but maintaining a lifetime bond has become difficult. The future will move towards in overcoming this gap and leveraging technology in interacting with customers in a unique one-to-one basis with a personal touch based on loyalty.